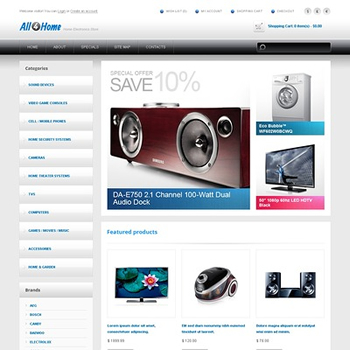 ​Most effective ecommerce websites have a few features in common: design, scheme and layout. And the design and layout of each webpage within your site should be consistent throughout the entire website. ​And whether you’re building your website from scratch or using a pre-built, website template, the layout of your webpage is always important. Most people read from left to right, and therefore, should be able to see the most important information and visual aspects of your website right away, beginning with your logo, which helps to builds instant credibility with your website visitors. Starting from the top, your logo should be placed on the top left hand corner of the webpage. ​Next, your header, which can consist of a top, horizontal, navigational menu and/or a graphic image as well, both of which can be placed right below the logo. An effective ecommerce webpage should have a left vertical navigation on the left hand side of the page as well. And that left navigation can link to many more pages on your website than what your top navigation menu can, seeing that a vertical navigation can be as long as you need it to be. The remainder of the page, the center, or what is known as the body of the page is where the product information and images will be placed. And at the bottom of the webpage, is where your footer will be, which will consist of text links linking to the most important and most relevant pages of your website. For the most part, most of your product pages will remain consistent throughout the rest of your website. 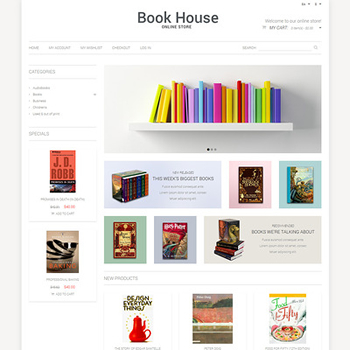 However, some of your webpage’s may differ in layout according to their purpose. 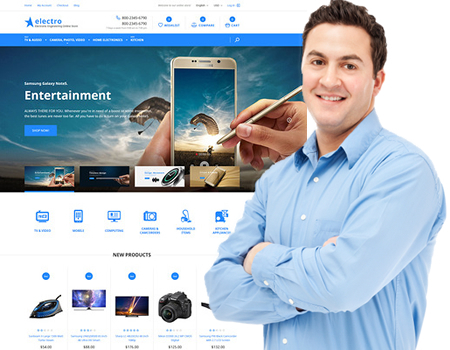 Your main page for example, which is the main entrance of your website, will consist of images and brief descriptions of your new, popular and best selling products on the market. And a simple “More info” button below each product will lead the customer to the full product page for that product on your website. 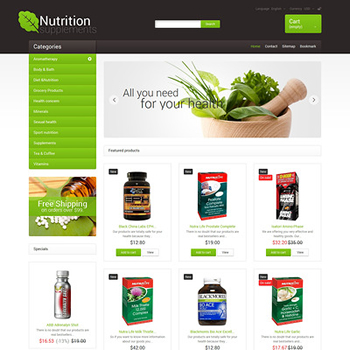 You can update your main page every 4 to 6 days or whenever new products hit the market. However, your header, (top of the page), left navigation and footer, (bottom of the page) will remain the same throughout the entire website on every single page. The only part of the page that changes is the body (center) and the content and images within the body of the webpage. Your product pages will begin with the main product image and the full product title at the beginning of the body of the page. Then you can add the first “Buy Now” or “Add to Cart” button right after these two elements. You can then proceed to add complete product descriptions, specifications, features, comparison charts and multiple images followed by the last “Buy Now” or “Add to Cart” button at the bottom of the page. Once the customer clicks on the “Add to cart” button, they will be taken to another page within the database of your shopping cart where they will enter in their credit card information and complete the order. NOTE: All product pages will remain the same. i.e. Logo and top header / navigation menu on top, left navigation menu on the left side of the page and the footer at the bottom of the page. The only thing that changes is the product image, the product information / content and the name of the product page. And you can conclude this page with your contact information followed by the address of your location as well. Your About page is crucial, and it’s important to address each of these 7 points in a complete and detailed manner. Invite your customers to contact your business by giving them immediate access to your email address and phone number. And be sure to add a physical address to your contact page as well. Making all of this information available and easy to find builds instant credibility and makes it easier for your customers to buy. This can also become your customer service page as well. Your FAQ, Frequently Asked Questions page, can consist of a list of your customers’ most frequently asked questions or the questions that a customer would normally ask before and after making a purchase. You can also place yourself in your customers’ shoes and ask yourself every question you’d want answered before you yourself were to buy a product on your website. And by answering all of your customers’ questions and concerns on one page they’ll be more likely to buy the product without ever having to contact you, as most online shoppers do. There are other information pages that need to be created and added to your website as well. And information pages are nothing more than webpage’s which consist of important and valuable information for the benefit of your customers. ​To build information pages, you can use any existing content page such as your About page and then simply remove that information and add your new information for that page in its place. Everything else on that page and on ever page of your website will remain the same. i.e. 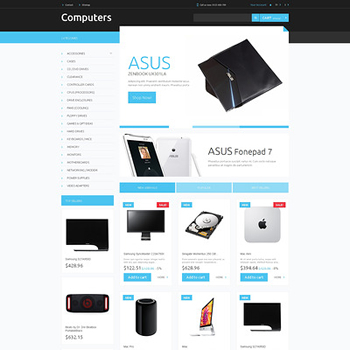 Logo, header, top navigation menu, left navigation menu and the footer at the bottom of the page as well. Building a website is simple to do. And when you’re building a website, all you have to do is build one main page and then use that same template page over and over again for each and every page of your website replacing the content and images of that page and then saving that new page with the new page name. Your image is important. And the right image with a professional design and layout can build instant credibility and make shopping a pleasant experience for all of your website visitors. So be sure to design your website in a manner that’s built for success.